South Carolina Landlord Tenant Laws are provided in the South Carolina Code of Laws, Title 27, Property and Conveyances, Chapter 40, Residential Landlord and Tenant Act. The statutes explain the responsibilities and rights of the parties. The statutes also provide legal remedies should either of the parties violate South Carolina Landlord Tenant Laws. This information is not a substitute for legal advice. If you have questions or believe you may have a claim under South Carolina Landlord Tenant Law, you should consult an attorney. Stay up to date on South Carolina Landlord Tenant Laws + Save money on tenant screening and other property management needs. Join AAOA today, it’s FREE! 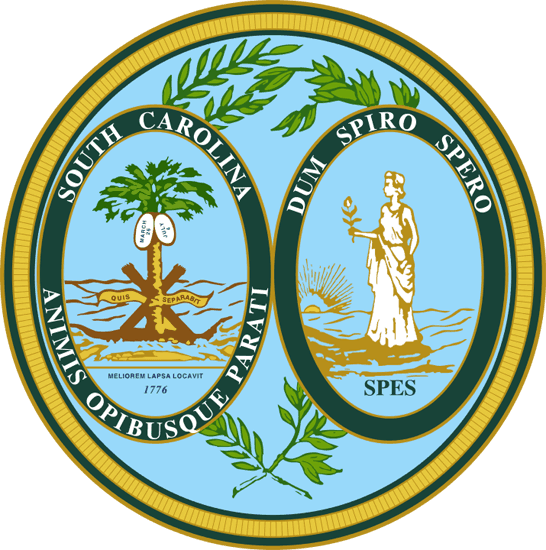 South Carolina Landlord Tenant Law permits landlords to require tenants to pay a security deposit. The security deposit must be returned to the tenant within thirty days after termination of the tenancy. Past due rent and the cost of damages can be withheld from the security deposit. Any amount withheld from the security deposit “must be itemized by the landlord and mailed to the tenant,” explains the South Carolina Bar. Including the Disposition of Security Deposit with your South Carolina Landlord Forms enables you to supply the notification. If a landlord fails to return the security deposit, “the tenant may recover the property and money in an amount equal to three times the amount wrongfully withheld and reasonable attorney’s fees. The South Carolina Bar points out that landlords can make new rules after the tenant moves in but that the rules must be “reasonable, clear and fair.” Section 27-40-520 provides that tenants must be provided with written notice of the new rules. Giving the tenant the Addendum to the Rental Agreement complies with this aspect of South Carolina Landlord Tenant Laws. South Carolina Landlord Tenant Laws protect tenants as well as landlords. South Carolina Tenant Screening can help you by quickly weeding out unqualified tenants. South Carolina Landlord Forms helps you to meet requirements of providing specific documents, the proper wording of South Carolina Landlord Forms and required notifications throughout the tenancy. All states require a variety of forms to rent an apartment to a tenant and South Carolina is no exception. Check out American Apartment Owners Association’s South Carolina Landlord Forms now. Looking for landlord tenant laws outside of South Carolina? The American Apartment Owners Association offers helpful landlord tenant laws for all 50 states. Click on any of the states listed below and go directly to its landlord tenant law page. To visit the homepage of landlord tenant laws, click here.